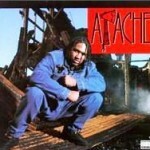 *Rapper Apache, an original member of Queen Latifah’s Flavor Unit, has died, according to Web site AllHipHop.com. A cause of death has yet to be announced, but the Web site UnKut.com is reporting that Apache was living with a bruised heart and on permanent disability when he died. Best known for his 1992 single “Gangsta B**ch,” which reached No. 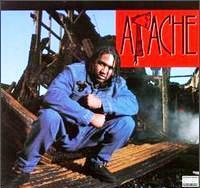 11 on Billboard’s Hot Rap Singles chart, Apache, born Anthony Teaks, worked with a number of his Flavor Unit cohorts, as well as Fat Joe and A Tribe Called Quest. How would you like to be known for that body of work, “Gangsta’ B*tch” and “Apache ain’t shyt”. DAMN! That’s a name I haven’t heard in ages! R.I.P. Fuckk you RodEckstein. Where did Rod posts? Or are you trying to strike before he/she does? >LadyByrd: I thought the same thing about his ‘legacy’.